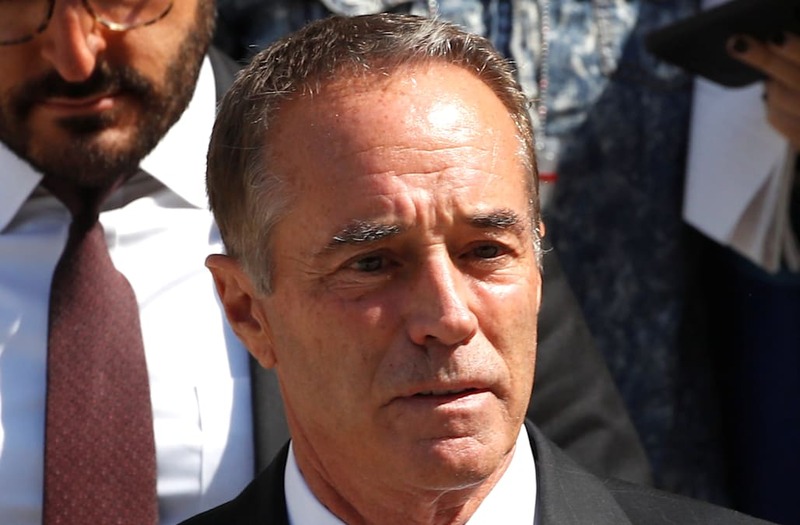 Rep. Chris Collins, R-N.Y., announced on Saturday that he would not run for re-election, reversing course days after he being charged for insider trading and lying to the FBI. Collins, 68, was the first member of Congress to endorse Donald Trump for president in 2016, and is charged along with his son, Cameron Collins, and Stephen Zarsky, the father of Cameron Collins' fiancée, according to the U.S. attorney's office in Manhattan. All three pleaded not guilty on Wednesday in a Manhattan federal court and were released on bail at $500,000 a piece. The congressman, who represents New York's 27th Congressional District, had previously vowed to remain on the ballot for his November re-election race, but said Democrats "would like nothing more than to elect an 'Impeach Trump' Democrat in this District, which is something that neither our country or my party can afford." "After extensive discussions with my family and my friends over the last few days, I have decided that it is in the best interest of the constituents of NY-27, the Republican Party and President Trump's agenda for me to suspend my campaign for Re-election to Congress," Collins said. Collins said he would not resign his post immediately, as some Democrats have called for, but would instead finish his term "to assure that our community maintains its vote in Congress to support President Trump's agenda to create jobs, eliminate regulations, reduce the size of government, address immigration and lower taxes." The case that prosecutors are building against Collins involves Innate Immunotherapeutics, a small North Melbourne-based pharmaceutical company, where the congressman served on the board for three years until 2017. He remains one of its biggest shareholders with a nearly 17 percent ownership stake. A grand jury indictment stated that Collins passed along non-public material to his son regarding the results of a drug trial intended to treat an advanced form of multiple sclerosis in June 2017. He intended for Cameron Collins to "use that information to make timely trades in Innate stock and tip others," according to the indictment. The drug trail later failed and the stock value fell 92 percent.